On June 23rd, Tupur Chatterjee wrote an essay, talking about how Lata Mangeshkar, her particular voice, her clout and whether she subdued a whole generation of playback singers with the power of both. This new essay contests Chatterjee’s argument and says that Lata Mangeshkar and Asha Bhosle fought for their position in a sexist industry, spelling out why it isn’t fair to paint them any other way. Plunge in! We want to respond to Tupur Chatterjee’s recently published piece, ‘How the Lata Mangeshkar – Asha Bhosle Era of Bollywood Music Marginalised an Entire Range of Female Singers’ on The Ladies Finger. The author, among other things, engages with the genre of Bollywood songs by Lata Mangeshkar and Asha Bhosle making two main arguments. 1. 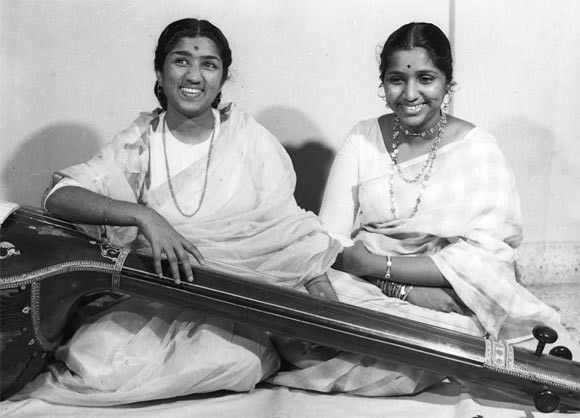 That, the Lata-Asha era was dominated by three feminine tropes: “the sexually unaware infantile (grown) girl, the Hindu Wife/Mother Nation and the ‘bad’ girls — cabaret dancers, vamps, and tragic courtesans.” Lata invoked and endorsed the first two images of femininity in her songs while Asha and Geeta Dutt sang for the third category of female wickedness and sexual openness. In both cases, the personal was very much part of their public persona and their singing styles, including the choice of songs. 2. That, the Lata-Asha era prevented a number of talented singers from gaining a foothold in Hindi cinema, among them Vani Jairam, Suman Kalyanpur, Usha Uthup, Runa Laila etc. As music lovers and academics interested in feminist and postcolonial histories of India/South Asia, we are troubled by the lack of context, the sweeping generalisations and the inherent sexism in the arguments presented. We believe that the article lacks a nuanced approach to the many genres of music in the sub-continent and to the complex lives of the Mangeshkar sisters in a highly patriarchal film industry. Although a similar debate, about the politics of Lata’s voice and life, can be found in the 2004 EPW articles of Sanjay Srivastava and Ashwini Deshpande, we address the key points of Chatterjee’s article here. The author argues that Lata’s voice was “sweet, smooth, shrill, adolescent, and safe”. To begin with, let us acknowledge that all singers have a distinct voice quality and style. While it is true that every era has its own role models whom others’ try to imitate, successful are those who develop their own signature styles. For instance, Rafi, Mukesh, Surendra and several other singers initially imitated the legendary KL Saigal. Similarly, Lata and Rafi became ideals for younger generation of singers who imitated their style and pitch, such as Anuradha Paudwal, Alka Yagnik, Sadhana Sargam, Mohammed Aziz, Shabbir Kumar, Sonu Nigam etc. Kishore Kumar was extensively copied by Kumar Sanu, Amit Kumar, Sudesh Bhosle, Abhijit etc. For Lata, with her ‘high-pitched’ and ‘thin’ voice it was even more difficult to gain foothold in an era when Suraiya, Shamshad Begum and Noor Jehan had established their fan following with distinct and thick, textured, husky voices. In 1947-48, Subodh Mukherjee of Filmistan Studio in Bombay, rejected her outright because she had a ‘squeaky thin’ voice. Besides having to act in her first films (Pahili Mangalagaur, Chimukla Sansaar, Maajhe Baal, Gajabhau, Badi Maa, Jeevan Yatra, Subhadra and Mandir between 1942 and 1948) and even having her songs edited out, Lata was pulled up for her Marathi accent and poor diction of Hindi and Urdu. After six years of running from one studio to another, she managed her first Hindi hit, ‘Aayega aanewaala’ in Mahal (1949). The author argues that, “one kind of expression begins to determine and define the entire politics of the female voice”. We neither find one kind of expression in Lata’s singing nor find the politics of the female voice as uncomplicated as the author would have us believe. 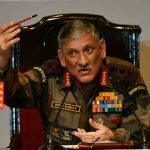 The two tropes she mentions of the asexual infantile girl or the Hindu Wife/Mother Nation would hardly do justice to the seduction of ‘Bahon mein chale aao’ and ‘Raat bhi hai kuchh bheegi bheegi’ or to the flawless Urdu musical renditions in Muslim class dramas, ghazals and courtesan songs such as ‘Naghma o sher ki saugaat’, ‘Salaam-e-ishq meri jaan’, ‘Hum hain mata-e- koocha-o-bazaar ki tarah’, ‘Kaho ji tum kya kya khareedoge’, ‘Yun hasraton ke daag’, or the timeless classics from Pakeezah that Lata sang with much pathos, longing and emotions. Was Rafi’s ‘high-pitched’ voice not the bigger norm? Lata, in fact, admitted in an interview to Subhash Kumar Jha in 2016 (published in The Quint) that, much to her annoyance, she was made to sing to Rafi’s pitch in many solos such as ‘Ehsaan tera hoga mujh par’ or ‘O mere shah-e-khuba’. This task was difficult and it really upset her. To argue that Lata alone was an exception in being the normative feminine voice of playback singing is to ignore the evolution of playback singing even as it responded to the demands of rapidly changing audiences. Like the author, we are also mesmerised by the rendition of ‘Aaj jaane ki zid na karo’ by Farida Khanum, but comparing her or even a Begum Akhtar to a Lata Mangeshkar is like comparing apples and oranges. A ghazal or even a classical song always allows the singer to express themselves more freely and improvise; playback singing must fulfil the on-screen requirements and suit the actors’ persona. The voice of a Begum Akhtar or a Rasoolan Bai intended to convey particular emotions for select and specialised audiences in live performances in confined spaces could not have been used by music directors for films, who created music for a different audience and largely for the youth. Playback singers were only as good as the actors who performed their songs on-screen. Yes, this new nation was looking for voices to fit the image of a pure (read asexual) woman and Lata, Geeta and Asha fit the kind of music that was being produced for films. We can’t imagine Lata singing ‘Aaj jaane ki zid na karo’. But equally, we can’t imagine Farida Khanum singing ‘Thandi hawayein’ or ‘Yeh zindagi usi ki hai’. Different tenor of voices, different kinds of music — Lata for one kind of emotion, Geeta or Asha to convey something else. Begum Akhtar or later, Farida Khanum, did not belong here. They were phenomenal singers in their own right, but not for the kind of music that was being made in Bollywood in the 50s and later. Our understanding of an ‘adult’ woman expressing desire and longing, predates Khanum’s husky ‘haaye’. Suraiya’s ‘Dhadakte dil ki tamanna’, Amirbai Karnataki’s ‘Mora dheere se ghoonghat uthaae piya’, Shamshad Begum’s ‘Ek do teen’, Mubarak Begum’s ‘Mujhko apne gale laga lo’, Noor Jehan’s ‘Awaaz de kahan hai’, or later, Geeta Dutt’s ‘Meri jaan mujhe jaan na kaho’ and Asha’s ‘Ang lag ja baalma’ are testimony to the fact that even in patriarchal Hindi cinema, the adult woman with independent desires was preferred over the ‘kahin ek masoom nazuk si ladki’. Needless to say, this female desire was and continues to be as imagined by male lyricists. But the point is that the ‘adult’ woman was expected to have desires, and female singers brought that out in their different renditions. Lata herself is known to introduce new ‘harkats’ (an oye or an ooh) impulsively, which used to upset even the legendary Rafi who liked everything worked out during rehearsals. While it is not our intention alone to list the sensuous songs of Lata, we want to emphasise that it is not hard to find ‘adult’ emotions and amorous sexuality expressed in Lata’s timeless songs such as ‘Lag jaa gale’, ‘Hai hai yeh majboori’, ‘Beimaan tore nainwa’, ‘Raat bhi hai kuchh bheegi bheegi’, ‘Jalta hai badan’ or even in the cheesy ‘Kaanta laga’ or ‘Bindiya chamkegi’. These are not exceptions in her repertoire. It is also significant to understand that in postcolonial India, norms of female sexuality and sensual desires have evolved and even shifted over a period of time. The author is right in pointing out that the virginal pure woman who could be domesticated was the ideal feminine form in Hindi cinema for a long time, but this has to be understood in the context of widespread patriarchy, crisis of masculinity and postcolonial anxiety. This was a time when human desire itself was expressed in cinema in extremely subtle ways. A peek of the foot was sexual (Pakeezah) as was a caressing of the eyes with feathers (Mughal-e-Azam). What was sensuality and sexuality then cannot be judged by the norms today. Also, contrary to the author’s argument, the Hindu Wife/Mother Nation was not always asexual as Geeta Dutt crooned in ‘Na jao saiyan chhuda ke baiyan’, and Lata invoked the longing for intimacy in ‘Lag ja gale ke phir ye haseen raat ho na ho’ and ‘Naino mein badra chhaye’. Again, it should not be overlooked that most lyricists in Hindi cinema have been men and not many have the creative imagination to express female sexuality and desire. Sahir Ludhianvi (‘Simti hui yeh ghadiyan’, ‘Aaj sajan mohe ang laga lo’, ‘Sansar se bhage phirte ho’, ‘Raat bhi hai kuchh bheegi bheegi’) and Shailendra (‘Aaj phir jeene ki tamanna hai’, ‘Maare gaye gulfam’, ‘Chadh gayo papi bichhua’, ‘Tadap yeh din raat ki’) were possible exceptions in this category of male lyricists. Female sexuality and desire are complex matters in the Indian subcontinent, and although Bollywood has always been an influential trendsetter, playback singers have had little influence on music, lyrics or situations, compared to actors, music directors and even lyricists. Majrooh Sultanpuri left a project when asked to compose with Shailendra, Sahir Ludhianvi was a very demanding personality and music directors could also dictate terms, such as the famous incident of Naushad prevailing over Mehboob Khan in Andaz. 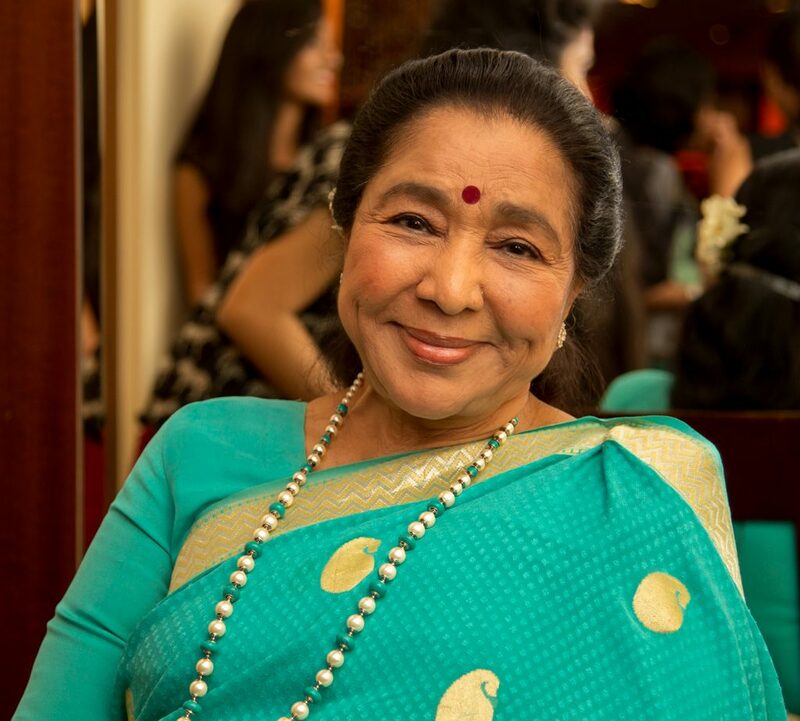 Occasionally, Lata could voice an opinion or when more financially secure, could choose to not sing some songs but metaphorically, she could never be the last voice. The author quotes extensively from the 1981 India Today article about Lata’s Meera image, the “single woman in a white sari who visits the Mahalaxmi Temple every week in a white Ambassador car.” About Asha she says, “Asha Bhosle had no such qualms and had a very different personal trajectory. Bhosle eloped from her house when she was 16, walked out of an abusive marriage at 26 and supported three children through her singing — gladly taking on all rejects and leftovers from her older sister.” It is unclear to us how the personal lives of Lata and Asha can explain their singing styles and choices. The invoking of biographical detail is often the argument used to discredit women’s labour in any field considered against the norm or even ‘deviant’. Was Asha’s voice sensuous because of the nature of her personal life? What is the connection between her elopement, marriage and her sensuous songs? How does one explain Lata’s ‘Aa jaane jaan’ and ‘Raat bhi hai kuchh bheegi bheegi’? Let’s play this another way. It’s hard to think of a male voice more sensuous than that of Rafi’s. He was reportedly monogamous and a devoted family man who had no time for social get-togethers and parties. For someone who never touched alcohol, he sang many songs in which drinking was the central theme and mood. Has a single write-up on Rafi ever discussed his personal life as connected to the range of moods and emotions he brought to his singing? Would anyone bring up the colourful personal life of Kishore Kumar to explain the quality of his voice. We contest the often simplified narrative of how much power or ‘clout’ Lata Mangeshkar wielded on other singers of her generation. This view only endorses one kind of sexist narrative that a woman can only be successful by marginalising other women around her, Lata’s so called ‘clout’ (if it existed) in the industry was earned over several years through hard work and commitment to the profession. A young Maharashtrian girl trying to make ends meet and support a large family after her father’s death, Lata struggled with the Urdu diction as was unflinchingly pointed out by Dilip Kumar in 1947-48 in one of the local train journeys in Mumbai when they were travelling together. She took lessons and then perfected the nuances of Urdu. She sang the often heavily Urdu-ised lyrics of Sahir Ludhianvi, Shakeel Badayuni, Hasrat Jaipuri, Raja Mehdi Ali Khan, Shailendra, Majrooh Sultanpuri and Kaifi Azmi. Music directors, Naushad, SD Burman and Madan Mohan repeated her voice for decades, not because of any ‘clout’ she might have had but for the quality of her voice. OP Nayyar did not offer her even one song as Asha became the signature voice of his melodious and racy tunes. They were stalwarts in their own field not given to tolerating tantrums from singers. SD Burman reportedly fell out with Lata for a brief period (1957-1963) and then returned to her voice in his evocative compositions in Bandini. Suman Kalyanpur sang duets with Rafi when apparently there was a rift between Rafi and Lata over the royalty issue. Suman had a voice similar to that of Lata’s, but again she just didn’t have the range that Lata did. Vani Jairam and Runa Laila had limited life in the industry for the same reason. Vani could have made it in the Tamil film industry, but she couldn’t be a strong enough challenge to P Susheela and S Janaki. There was no Lata there. It is therefore not fair to attribute the limited shelf lives of these singers to the supposed machinations of Lata or Asha. Lata’s privilege, fame and influence in the film industry comes from her enormous talent, hard work and adaptability to various genres that her contemporaries always found difficult. Petty ego battles and turf wars were aplenty in the industry during the golden era when her voice reigned supreme, but it would be inappropriate to blame her for marginalising other female voices. If there was, in fact, any one singer, who through his sheer versatility and perfection, actually marginalised a number of male singers of that era, it was undoubtedly Mohammed Rafi. Mukesh, Manna Dey, Mahendra Kapoor and Talat Mehmood got far less songs to sing as long as Rafi reigned supreme. 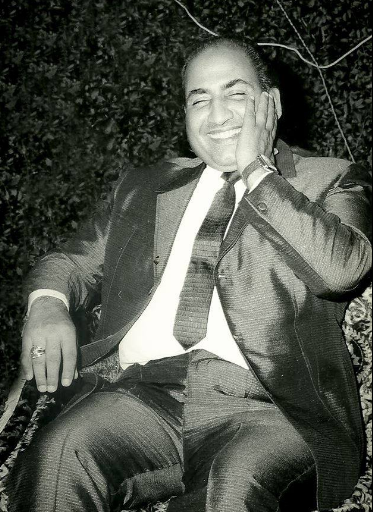 The reasons were because Rafi’s voice suited most actors and he could sing for anyone on screen — a talent he shared with Lata; his generosity and kindness are legendary and he rarely picked fights with people. In fact, he sang free of cost for many struggling producers who always remained grateful to him. We never read ungenerous accounts of how Rafi had that kind of ‘clout’ in Bollywood, which he undoubtedly did till Kishore Kumar eclipsed him in the late 70s. Rafi’s dominant years in Bollywood has always been explained by his extraordinary talent and amiable personality. 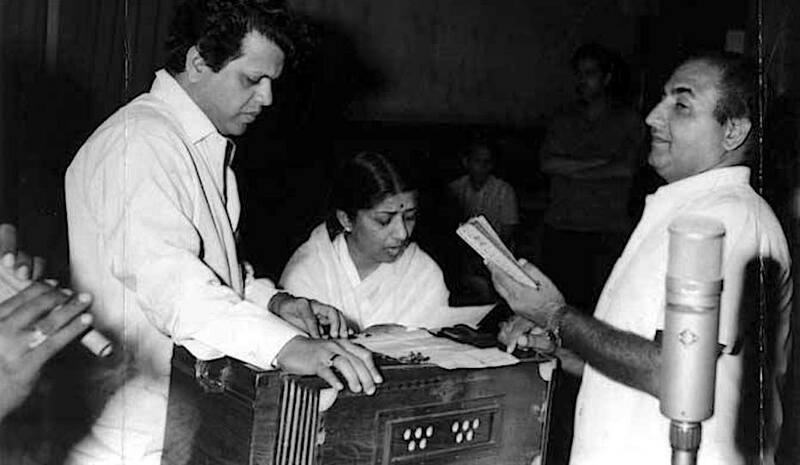 It is also widely acknowledged by connoisseurs of music that in many duets, Lata struggled to match to his pitch, range and emotive nuances (‘Tasveer teri dil mein’ and ‘Ehsaan tera hoga mujh par’ are two examples). How fair is it then to apply a different set of standards to assess Lata’s success and longevity by calling it ‘clout’ or influence rather than talent and perseverance? Our attempt is not to offer a hagiographical account of Lata Mangeshkar (and we have not even talked about Asha Bhosle here in the same depth), but to simply emphasise that feminist readings of personal and professional histories must account for the varying contexts within which dominant norms of masculinity and femininity are produced. Let us not forget Lata and Asha were working in a male dominated industry, driven by money and business acumen. If after establishing herself, Lata insisted on her share of record sales, she became the inspiration for singers who came after her and who have continued the fight for royalties. Lata reported in one of her interviews that when she and Raj Kapoor couldn’t agree on terms for a film, Raj Kapoor reportedly said, ‘this is business’, and Lata retorted, “main bhi baagh mein sair karne nahin aayi huun” (I have not come here to walk in the garden either)! She challenged the notion that singers were mere artists without financial stakes even as film producers and music directors continued to make money off the songs sung by them. Her quarrel with Rafi was precisely over this point that she demanded royalty from successful songs, while Rafi insisted that the singer’s payment for the film was enough. 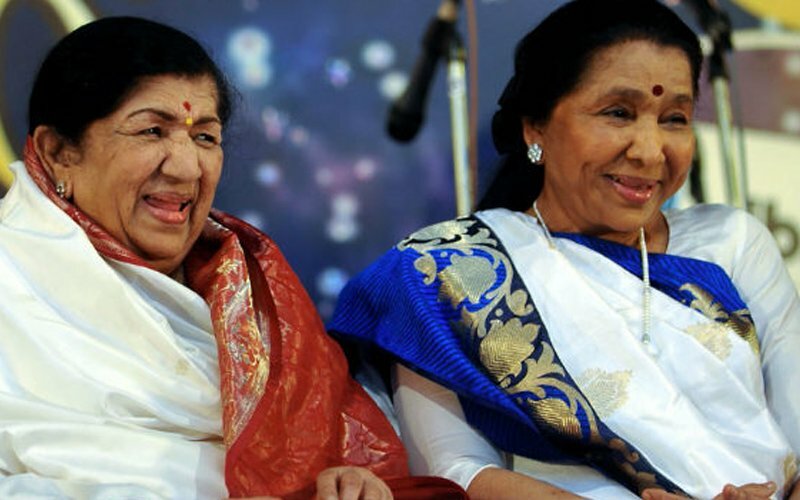 They did not sing together for many years, but this was hardly a loss compared to the bigger battle she waged for playback singers in the industry. Playback singers do not have appreciative audiences who understand their music on a regular basis; they must create a fan following with the limited resources they have, which is also dependent on the actors who perform their songs. In a male-dominated industry, Lata and Asha remind us of the privileges that are extremely hard-earned for women and the struggles they have to endure to survive. Since the Lata-Asha era, the industry has democratised and made huge progress in technological competency for song recordings. Several avenues are available for singers with a wide range of voices and styles to express themselves in creative ways, as the author mentions. We believe that some credit is due to these two legends who paved the way for women around and after them. They may not fit the contemporary feminist prototype, but they chipped away at one of the most patriarchal industries, one song at a time, by the sheer weight of their talent and grit. As Lata herself sings these words, they can never lose their relevance. Dr. Swati Parashar is Senior Lecturer, Peace and Development Research, Gothenburg University, Sweden and Adjunct Senior Research Fellow, Monash University, Australia; Dr. Prabha Rani is Associate Professor, Department of History, Lady Shri Ram College, Delhi University, India. Thanks a lot for this contextually accurate response to Tupur’s article! What an odd piece of writing that completely misses the point of the original piece. Tupur Chatterjee did not once imply that Lata did not have talent or range. She (quoting the journalist from India today) said Lata is a powerful woman–how is that anti-feminist? Which talented or talentless person has ever been able to succeed in Bollywood without clout? How does this imply that Lata’s success had to do with more clout over talent? Also, if you believe that using biographical details discredits women’s labor then you self-contradict by drawing upon biographical details yourself to help pad your version of events. 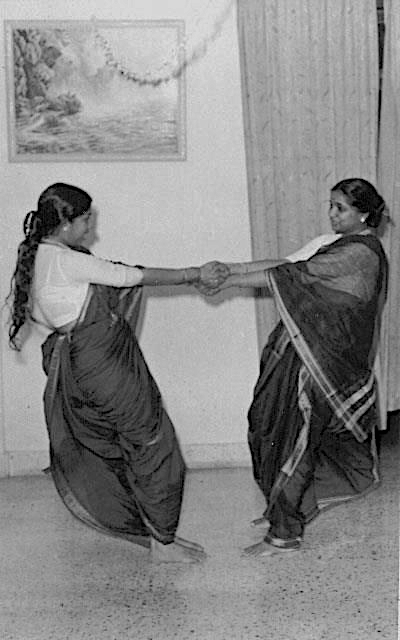 Lata and Asha played an active role in creating their images and the songs they sang reflected this. If you know for sure that every producer (except the great O.P Nayyar of course) always had a “choice” and it was Lata, then didn’t this serve the male version of what a female voice should be beside ruining the careers of so many other female artists? How exactly did Lata “pave the way” for future female singers? Was it by expanding our horizon of a woman’s voice or by fighting for royalties on behalf of other singers? Kavita Krishnamurti had originally recorded “Kuch na kaho” from 1942 A Love Story. Without any intimation to her, Lata decided to sing that song and record over her voice. Kavita said in interviews that she was shocked to find out that she was no longer the singer of that song. Is that not discrediting women’s labor? Has Lata ever stood up for any female artist? For a long time, she did not even support her sister Asha or speak up for her. No female playback singer since Lata has managed to get any royalties despite all of Lata’s so called attempts to “pave the way.” Maybe because despite having the talent they did not have the kind of influence that Lata did. Thanks Drs Swati Parasher and Prabha Rani for this article. There have been many detractors of Lata on this issue of so-called monopoly. But you are absolutely right that even the educated community looks at the situation through stereotypes – Rafi’s immense popularity because of his singing style leading to the marginalisation of other singers is not seen as his influenced-related monopoly, but Lata’s popularity with the music composers is seen as a monopoly. There are different yardsticks to study the influence of male and female singers. In such critiques of Lata, they portray her as an extremely successful woman who used her success to kill the careers of others. But such writings completely ignore the amount of struggles that Lata went through. A 13 years old girl, who was criticised for her thin voice and diction, in a film word dominated by Shamshad Begum, Suraiya and others – how much she had to struggle to make herself heard is unimaginable. Initially she was made to sing in chorus. She was paid a salary of Rs 80 per month when other singers were getting the princely sum of Rs 600 with flat, car, attendant etc. There was every chance that she could have been overshadowed by the dominant singers of 1940s. And even in 1950s and ’60s it’s not as if the music directors were not using other talents. Most of these other singers emerged in the same phase when Lata came on the scene. But none of them had the range that Lata had. And you are absolutely right that she sang every kind of song. 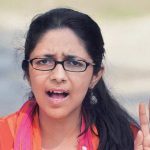 The charge against her of projecting a Hindu nationalistic woman is misplaced. At that young age, she fought almost alone the battle to get credits for the singers in the films and yes, for the royalty. She was maligned by her peers for fighting this battle, but we must appreciate that she took up this cause of singers all alone, despite others opposing her. As for the others getting overshadowed, we must also understand that the Indian audience wanted to listen to her voice. If she was not immensely popular, there was no way she would have stayed on in an industry that had millions of millions of rupees at stake. Yes, the charge against her of creating a particular kind of feminine ideal is misplaced. Why do we expect that in order to be powerful, a woman has to be more like a man? Why can’t a woman be powerful in the so-called “feminine” mould? By this kind of yardstick, we ourselves abort the power that a woman can have by being herself. We completely ignore the kind of battles she fought at a young age, often alone, being maligned and taking a great risk of being abandoned. It’s not true that the music directors and producers were doing her bidding all the time. She had rifts with several of them and they didn’t use her voice for some time. But most of them came back to her because they didn’t find the range of her voice in other singers’ voices. And let’s not forget that not only did Lata fight these battles, but she was also exploited emotionally by some of the music composers when she was young. How difficult this journey was for a young woman fighting against a sea of challenges all alone is almost never written about. The truth is that she was one woman who defined her space herself – she decided what kinds of song she wanted to sing, she decided to have a completely different style from her predecessors, she demanded to be given credit and her due for her hard work and when she felt that a music director was exploiting her fame for his own benefit, she left him because she didn’t want to be exploited. If this is not the image of a powerful woman, what is? Why should she have imitated her predecessors’ singing style in order to sound “non-virginal,” whatever that term means? Why shouldn’t she have dressed up in the way she wanted to? No one had told her to dress up in a particular manner. It was her choice and why shouldn’t she have a choice of her own in matters of dress? You are right that no one critiques Muhamamd Rafi and Kishore Kumar for their choice of dresses and lifestyles. And much of these allegations of marginalising other singers are actually not based on facts. For, we don’t really know the facts. In an interview Lata actually said that Suman Kalyanpur was known to her and she used to visit her house. Lata herself asked one of the music directors to give one of her own songs to Suman Kalyanpur. 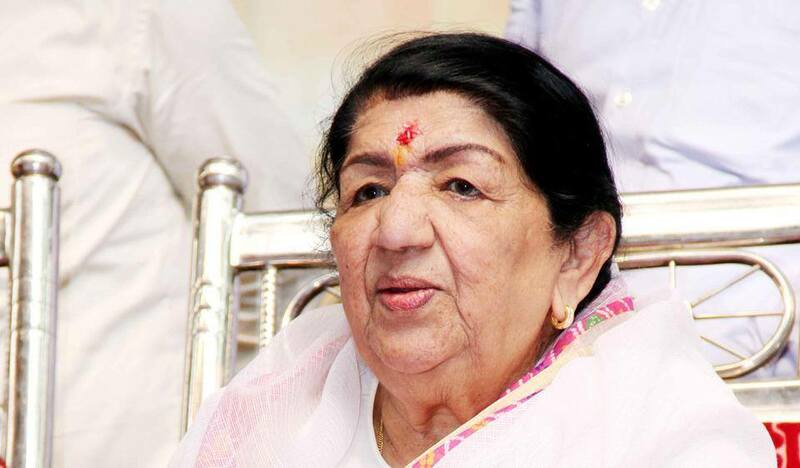 Suman also said in an interview that she had cordial relations with Lata. But Suman always kept her marital life above her singing career and she herself was not as much focused on her career as Lata was. We are forgetting that Lata kept her singing profession above everything else and she never allowed herself to be exploited for long. So I feel these criticisms against her are not justified. And what is the yardstick of “virginal” voice? What is really virginal about Lata’s voice? Is this because these critics think of Lata as a virgin? How do we know? What do we know about her personal life really? Why should her voice be regarded as a virginal voice? She has a different kind of voice from those who used to sing before her. But what was “Non-Virginal” about those earlier singers’ voices? What is the basis of virginal voice and non-virginal voice? What is the basis of saying that she created the image of a Hindu woman? Has she not sung songs that have a basis in non-Hindu cultures or for characters on screen that represented non-Hindu subjects? These are subjective categories imposed upon her that have no meaning and can’t be defined really. The entire critique of Lata is based on stereotypic generalisations. I think this is a wonderful piece of writing. It goes on to show that not all scholars of film history believe in the Mangeshkar monopoly theory, a claim that is made ad nauseum by the “monopoly camp”. Thanks for your point on the problems in reading sexuality and desire only in certain kind of musical expressions. And for those specifically pointing out the lack of cabaret songs in Lata’ body of work, here is something to enjoy.